I’ve decided that my blog needs a hottie of the week feature: a house I admire or wouldn’t mind calling home. I promise to take better photos as my blog evolves. For now, I’m relying on my phone camera roll (sans party pics). 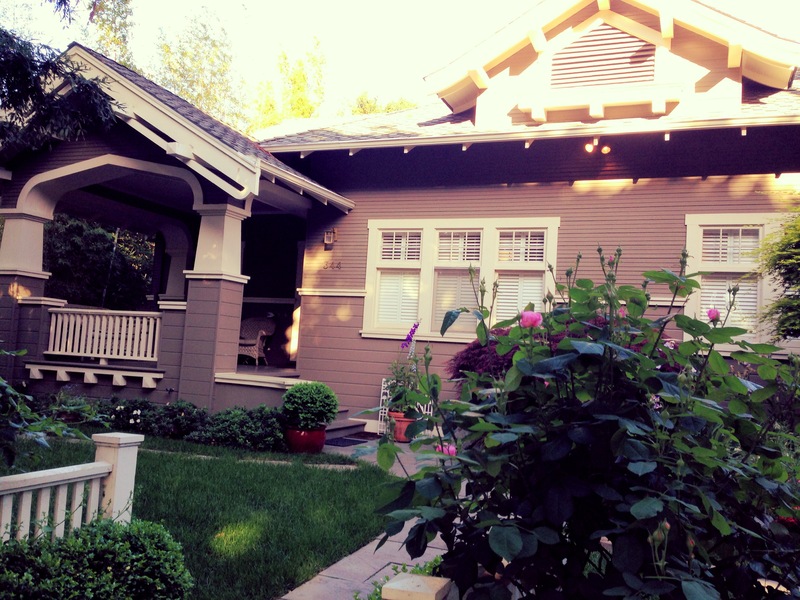 This week, the hottie goes to a California bungalow in downtown Mountain View. It’s just blocks from where I used to live. I had many stop and stare moments during walks with Phoebe. Its architecture was heavily influenced by the arts and craft movement, which incorporated Japanese ideas in its early forms. So here’s to my very first hottie of the week: a house I’ve admired for many years. How I managed to escape arrest for trespassing is beyond me.